If the deprecations and changes to the FileMaker platform have you searching for alternatives, Xojo is a solid place to start. 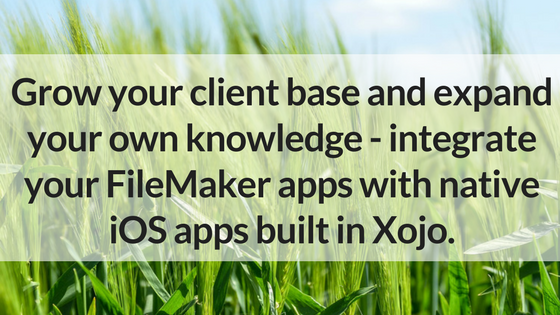 FileMaker developers use Xojo for a variety of reasons, including lower cost, more powerful apps and native iOS apps. Xojo is a powerful, full-featured development tool and as far as professional development tools go, Xojo is amazingly easy to use. For people with programming experience or those that want to learn, Xojo is a great choice for creating powerful apps to meet any business need – from cross-platform desktop apps, web apps, mobile and iOT apps. After you have checked out all those resources and you’re ready to begin development, visit the Migrating from FileMaker page in the Xojo Dev Center for tips on how to best migrate your FileMaker apps. You’ll quickly see how simple it can be to jump from FileMaker to Xojo, grow you client base and open up new opportunities in the mobile market. Xojo is free for development and testing and has a 90-day return policy. Give it a try to see how you can start making better, more powerful apps.